Why Play Prep Music Theory Games? Simple - It's fun! 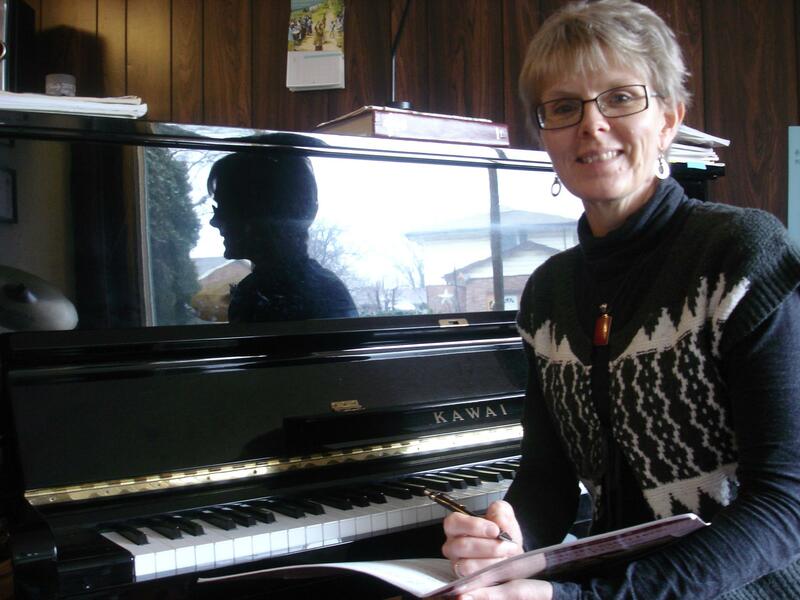 When Shelagh McKibbon-U'Ren and I recently developed the Prep Music Theory Games (designed by Joanne Barker - UMT Games Creator), I began to reflect on our early beginnings. 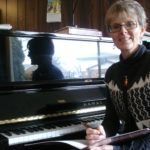 Shelagh and I began collaborating on the Ultimate Music Theory Program because we shared a passion for teaching and creating educational products, such as our UMT Workbook Series and Exam Series. Then came the demand for our many online courses such as the Ultimate Music Theory Certification Course for teachers. Thanks to teachers who share their ideas and the needs of their students with us, we continue to develop more products for you - including our Whiteboards, Rulers, Tote Bags, Games, etc. I realized... that we just LOVE having fun creating, learning and sharing ideas with you. So thank you, yes YOU, for being such an important part of the Ultimate Music Theory Family! 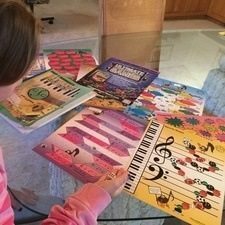 Prep Music Theory Games Pack. I guarantee it will put a smile on your face and your students faces too! 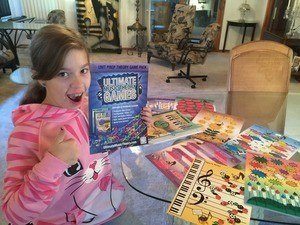 Jillian is a beginner in the Prep 1 Music Theory Workbook and she LOVES to play Prep Music Theory Games at her lesson! In fact, it's not just students that love to play games, teachers do too! "I love using the UMT games - my students look forward to them and even my teenagers say "hey, only a few minutes left, we have to play a game!". After taking the Ultimate Music Theory Certification Course, I use my whiteboard and UMT methods much, much more. I'm slowing down the pace on the practical side, taking more time with each piece. 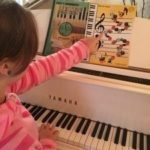 I realize that the theory benefits are tremendous and see how they have a positive impact on my students' ability to sight read, do initial analysis, and simply feel more 'musical' since they have more tools to make their playing successful and satisfying. I am working on lining up UMT club classes - hopefully for winter or spring 2016. This fall, I am partnering with another teacher in the area to start a Teachers' Association and plan to let all the teachers I know about UMT. For those who don't teach theory, I will be happy to do this for them! In the meantime, all my students are benefiting from UMT and are doing very well on their RCM exams. I am excited about expanding my studio to include a stronger focus on teaching theory with club classes. The Prep Music Theory Games Pack includes a Free Music Theory Guide & Music Theory Chart, PLUS instructions with 36 Game Variations. 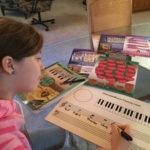 So why play Prep Music Theory Games? Because we learn faster through play! Got an idea for more Music Theory Games? Contact us or leave your ideas and comments below. We'd love to hear from you as we continue to develop new products to help you have MORE fun learning music theory faster and Master Musicianship Skills!